Ringlets around face. 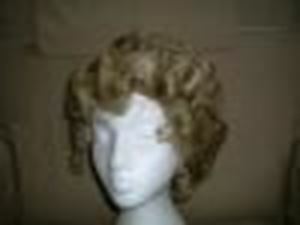 Large curls covering head. Whether for hire or purchase, please contact Dauphine (01179 566556) for price details.